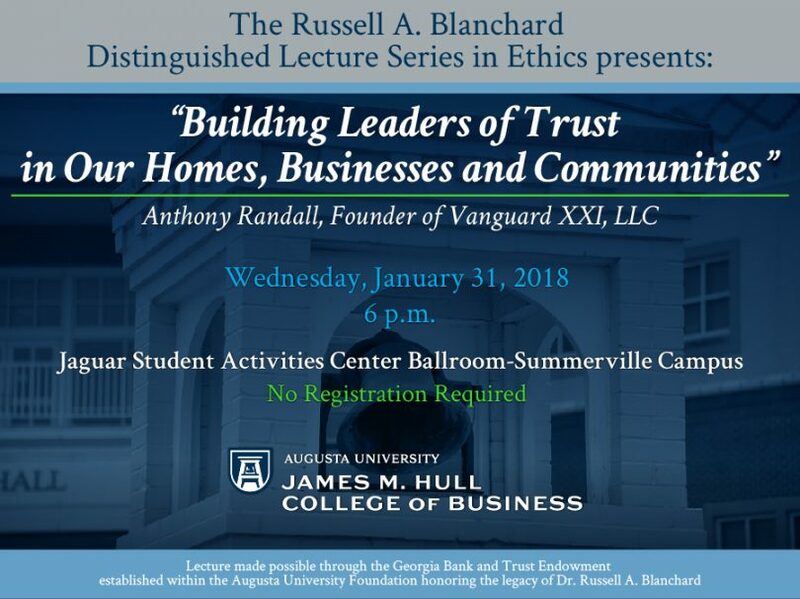 The Hull College of Business proudly presents Mr. Anthony Randall, Founder of Vanguard XXI, LLC, as the 2018 Russell A. Blanchard Distinguished Lecture Series in Ethics speaker. 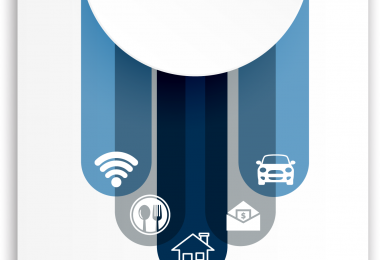 On Wednesday, January 31, 2018 at 6 p.m. in the Jaguar Student Activities Center Ballroom on the Summerville Campus, Mr. Randall will be speaking on “Building Leaders of Trust in Our Homes, Businesses and Communities”. All are invited to attend, and no registration is required. 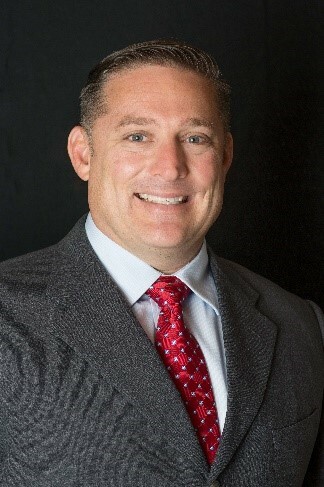 Anthony Randall has 21 years of proven leadership experience as a leader, chaplain, pastor, ethicist, and mentor in Army Special Operations Units, Major League Baseball, Law Enforcement, and the Free Methodist Church. He serves as a Chaplain and Ethics Instructor for the US Army and Lead Pastor for a 350 person military congregation. He is an Army Ranger with seven deployments to Iraq, Afghanistan, and Egypt. 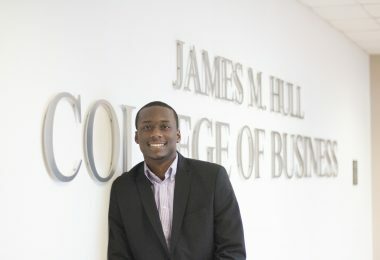 Founder of Vanguard XXI, LLC, Anthony teaches, trains, and provides pastoral and prophetic counsel to senior leaders, executives, strategic decision makers, and high performance organizations through moral and ethical leadership development and emotional intelligence to include: the Pittsburgh Pirates MLB, 2017 National Championship runner-up Gonzaga Men’s Basketball Team, the University of Colorado Executive MBA program, Emory University, Gozieuta Business School Executive Leadership Program, Georgia State University Robinson School of Business, private schools, and law enforcement. He holds a Masters of Theology in Ethics (Emory University), a Masters of Divinity (Denver Seminary), a Bachelor of Science (United States Military Academy, West Point), and graduated from the US Army’s Command and General Staff College. He is pursuing a Doctorate of Ministry at Fuller Theological Seminary. He is a published author. Anthony is a black belt in Japanese Jujitsu and Tae Kwon Do, and a blue belt in Brazilian Jiu-jitsu. He loves spending time with his wife, Jeanine, of 20 years and their three children active in school, sports, music, and ministry. He volunteers as a Little League Baseball Coach and Assistant Scoutmaster.